SHOT Show 2019 is over! But worry not, we didn’t leave empty-handed. We have lots & lots of stories, updates, and all kinds of good stuff from our time in Sin City. Big thanks to Duracoat, MKS, Century Arms, Crossbreed, Night Fision and Fiocchi for letting us hang out at their booths! Speaking of those guys, DuraCoat has a brand new product, DuraDize! As cool as that is, they also brought in the T-Rex, an Entirely Duracoat’d Hummer that is slick and sick. Froglube has a new business relationship with Occam (which may or may not be partially thanks to the Professor). There’s too much stuff for me to write in here, so tune in and listen up! During this SHOT Show installment of the Warrior of the Week, we’ve actually got something from internally, which is how to keep healthy at SHOT Show. This can apply to any convention or large group gathering really, but it’s applicable. 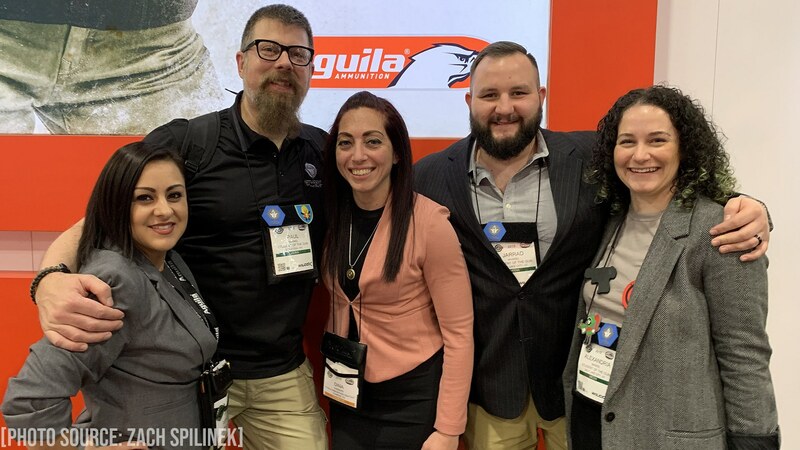 The SHOT Show 2019 Recap! FrogLube – Occam Lube Applicator & What do you FrogLube?